Water Wows at the Louisville Zoo | Louisville, Kentucky | Joe Hayden Real Estate Team - Your Real Estate Experts! 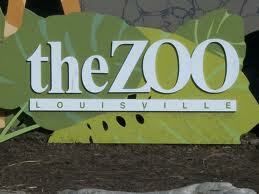 You and the family can take a splash at The Louisville Zoo this weekend at the Water Wows at the Zoo. The event starts on Saturday August 4th and ends on Sunday August 5th from 11am till 4pm. This event is sure to be a hit for the little ones as Spiderman will be joining the festivities. He will be bringing along a few friends to hang out and entertain the kids. For once, the masked wall crawler is okay with having some photos taken by someone other than Peter Parker, so be sure to bring a camera. There are plenty of things to do other than hang out with superheroes, as the Water Reps will be doing some nifty experiments and teaching the children how to do them at home. The animals are always a great attraction for the family, and the Zoo has some new additions. There were 3 Bongo Calves born in May to 3 different mothers and these little guys are ready to meet the public. 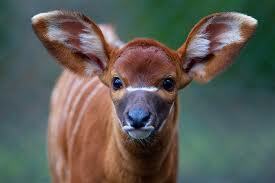 Bongo’s are the largest of the forest antelope and like their smaller brethren, they are sleek and graceful. These beautiful animals are truly a sight to behold. The Water Wows make August an inviting time to take a walk on the wild side at the Louisville Zoo. You and the family can see some of the world’s most majestic animals in an ‘enhanced’ natural environment. With the ever-evolving species population, you might even want to make the Zoo a yearly tradition.